The children will learn Prayers and songs and an appreciation of God's gifts and love for all of us. Each child will be made to feel special because God made each one in His likeness. The children will be introduced to the significance of the religious holidays, especially Christmas and Easter. 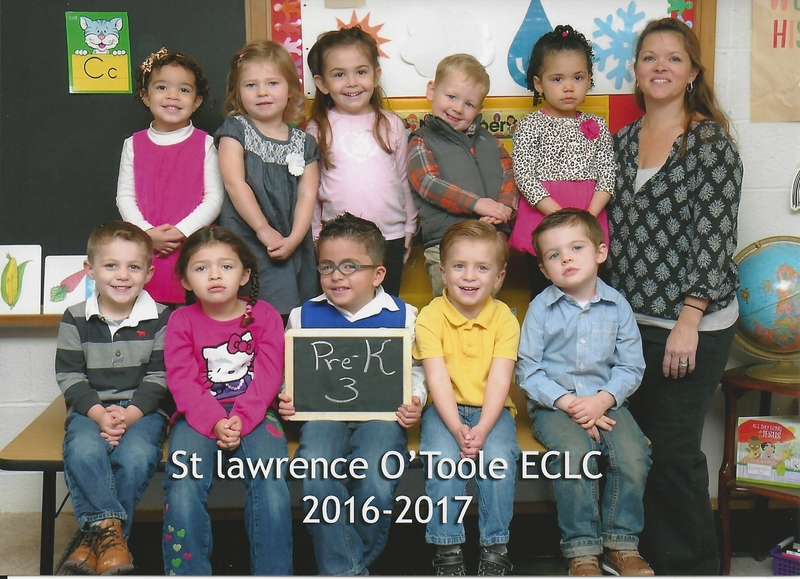 Pre-K 3 religion book is "Discovering God's Child". Various activities and exercises are introduced to help develop gross and fine motor skills. These include dancing, hoping, jumping, movement games, songs and finger plays. Fine motor skill development is introduced through many modalities including puzzles, play dough, coloring, painting, pasting, and cutting. Pre-K 3 has a gym class in the gym once a week. In its simplest forms, the children will be introduced to the alphabet through name recognition, songs, finger plays, crafts and stories. Through songs, art activities, play and manipulatives, the children will be introduced to numbers, counting, shapes, size and sets. The children will be introduced to many different art forms including craft projects and authentic art. Each child is encouraged to use his/her creativity and imagination. The children will learn to identify colors through art projects and other activities. 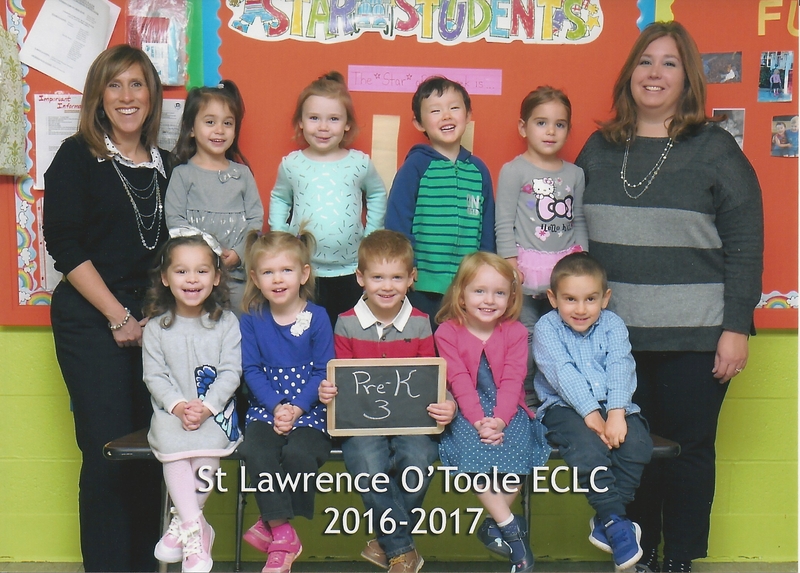 Pre-K 3 attends a music classs once per week. The children learn about their bodies and how to take care of themselves with proper hygiene and proper eating habits. Listening and following directions play an important part in each day. Through "Story Time" and "Circle Time" the children are encouraged to listen and learn. Each child is made aware of the importance of these skills. The stimulation of group activity, role playing and creative play is a part of each day to help the children develop peer relationships. Each child learns to be accepting and respectful of others. Acceptance, a positive self-image, and self-worth are fostered in all children. Through nature, experiments, the world around them, cooking activities, and group discussions the children are introduced to the world of science. The children will explore safety in the classroom, playgorund and at home. Safety rules are taught and enforced.